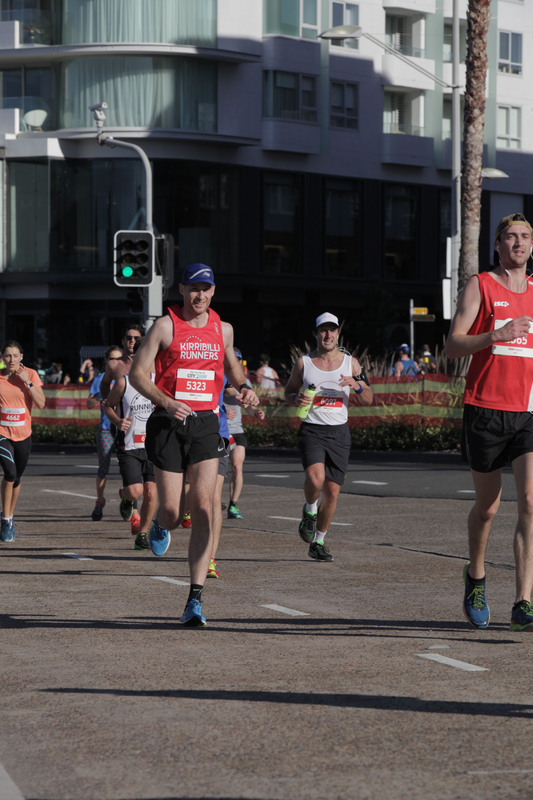 This year’s City2Surf was a real triumph for Kirribilli Runners. Resplendent in our brand new vests, more than a dozen KRs (runners and walkers alike) turned up to tackle both sides of Heartbreak Hill—and, of course, the hill itself. While we’re not a competitive club, we do still celebrate achievements, right? In that spirit, we should make notable mention of Mike, who placed in the top 1% of racers, and of Jo, who placed 115th female on the day, and 22nd in category! Amazing efforts. 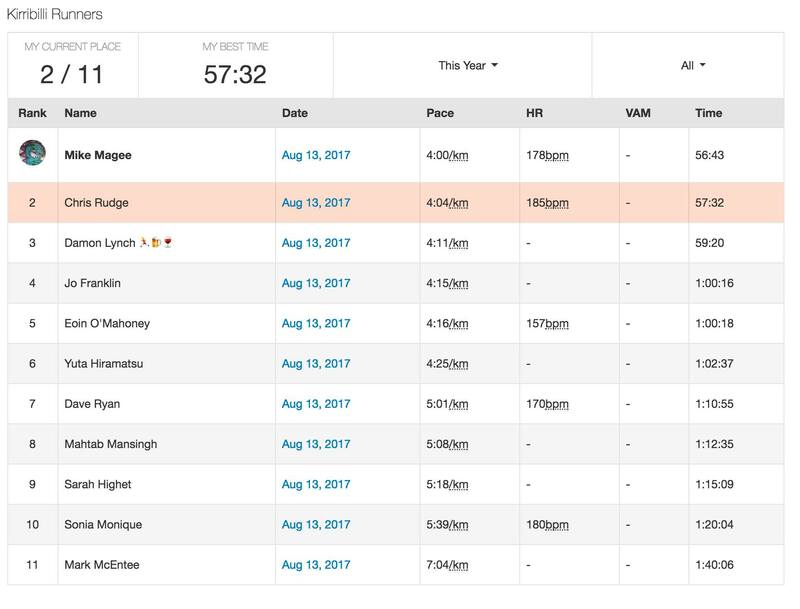 Subject to these limitations, the screenshot of the leaderboard, below, lists some KRs who raced on the day and their (unofficial) times. Well done to everyone. 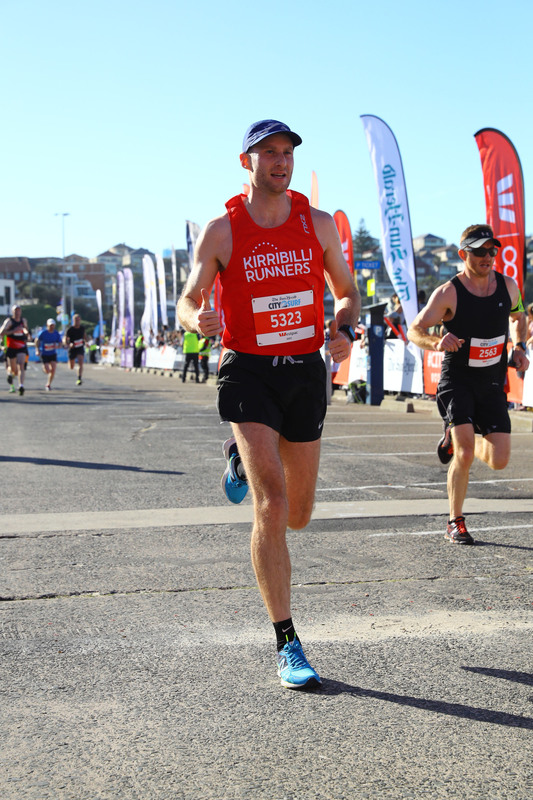 And don’t forget to register under KIRRIBILLI RUNNERS in the Blackmores Sydney Running Festival, which is now less than five weeks away. Gareth is listed as the team admin. Of course, we’re not too serious as a club, so it’s okay if you want to register with another club where points may count towards a prize or award. However, if you’re not racing for any other club, then you may as well register with us, no? 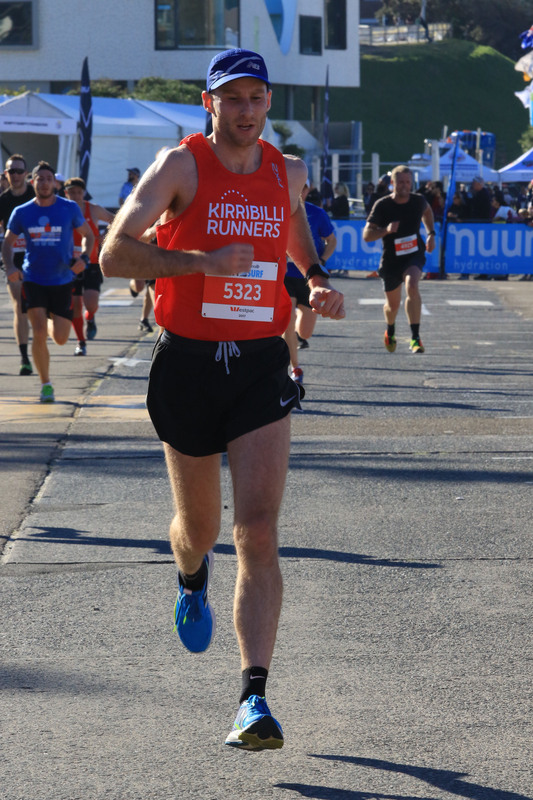 I also include below a few photos of me from the race, which I purchased (got in early, so they were only about $35). Feel free to add your own photos to the thread, watermarks or not!